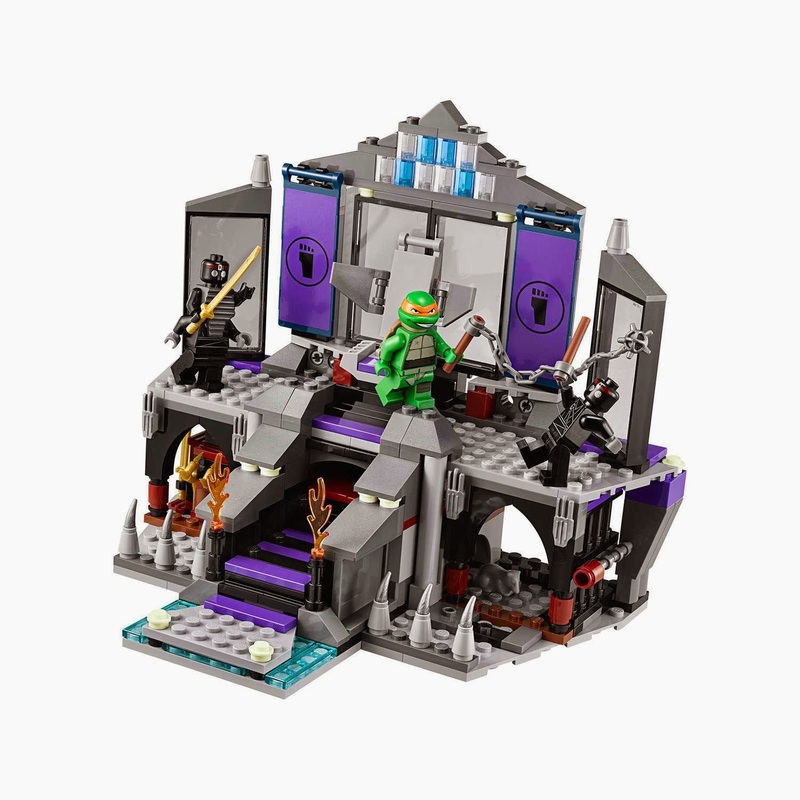 the lair has a shredder's throne with escape pod, openable windows, collapsible stairs, a hidden sawblade shooter, removable weapon racks and a dungeon with breakable door. 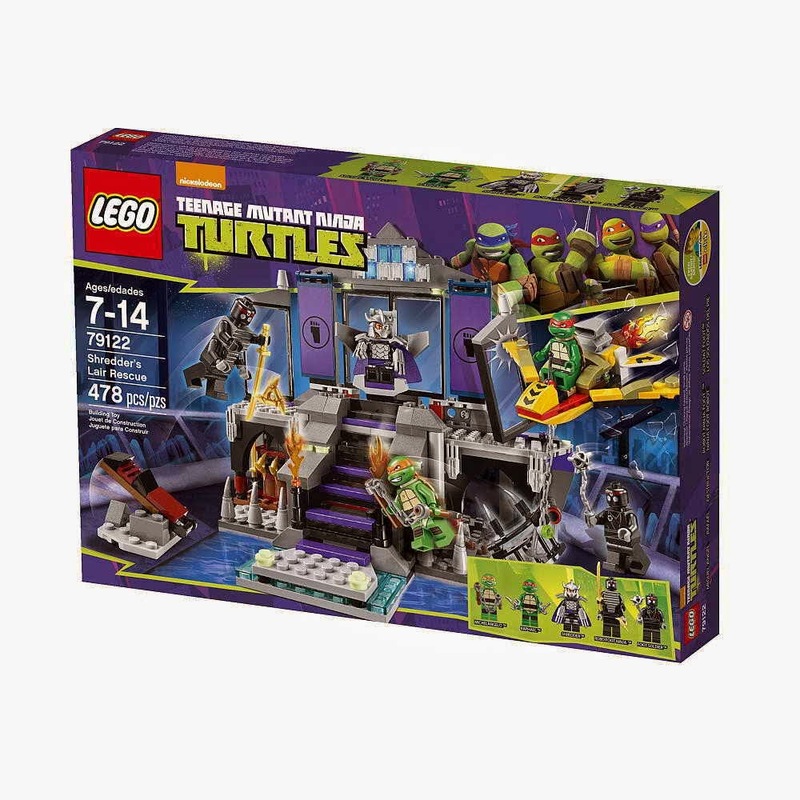 also included a catapult and a flying turtle vehicle. 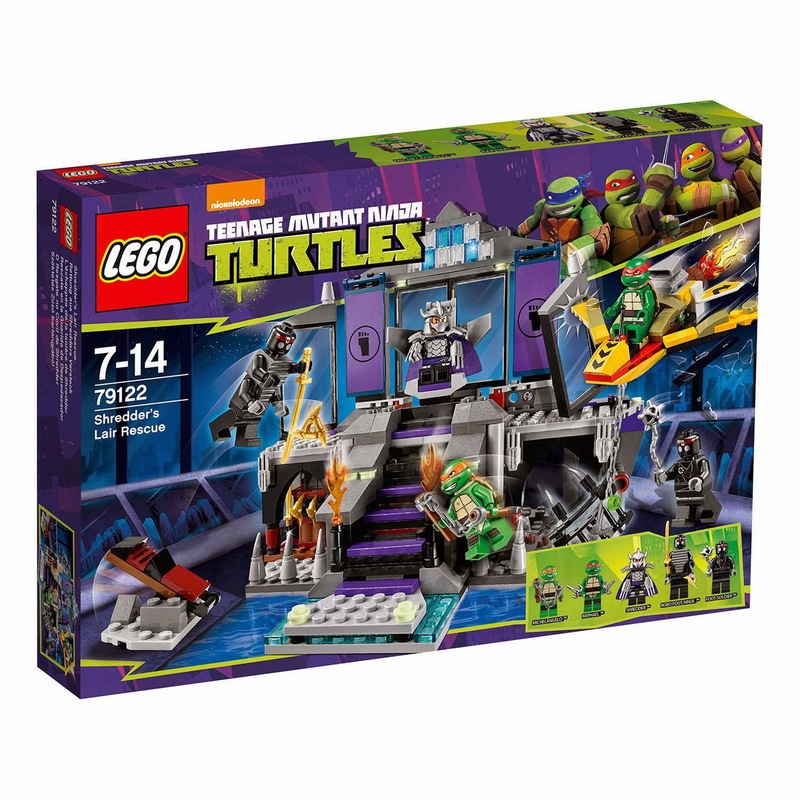 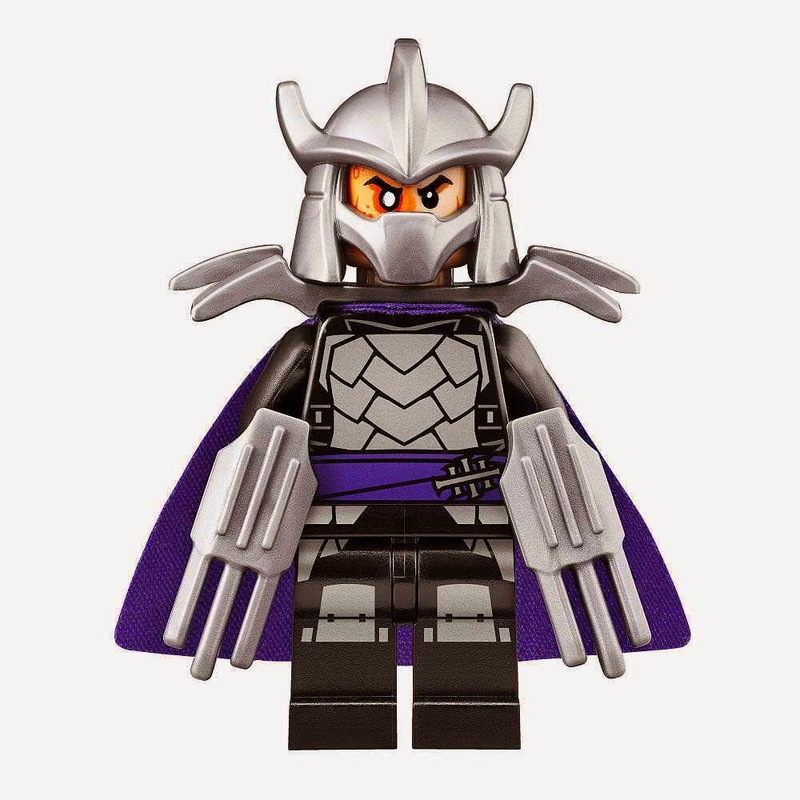 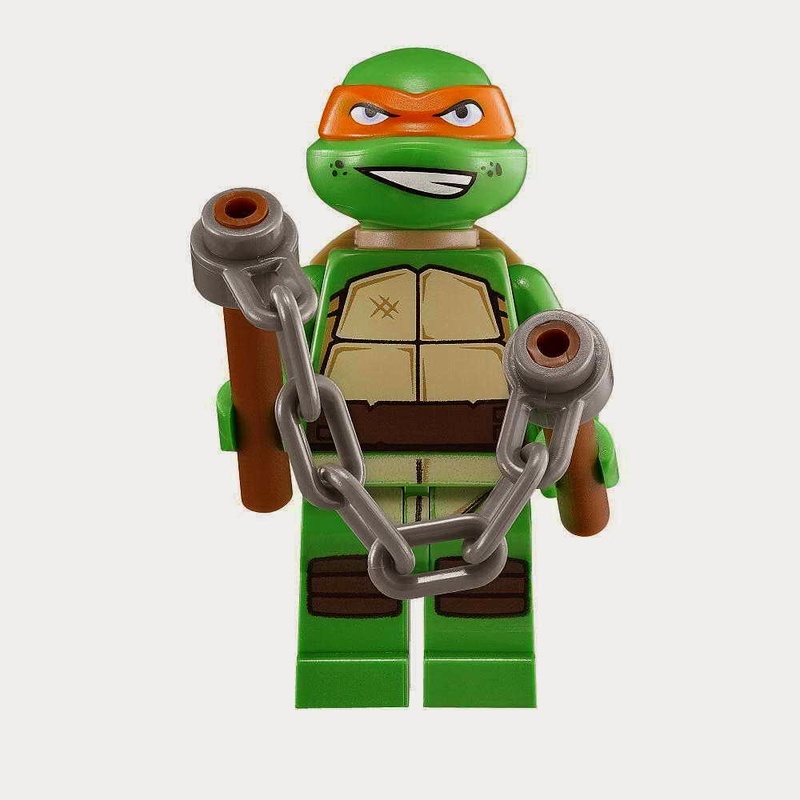 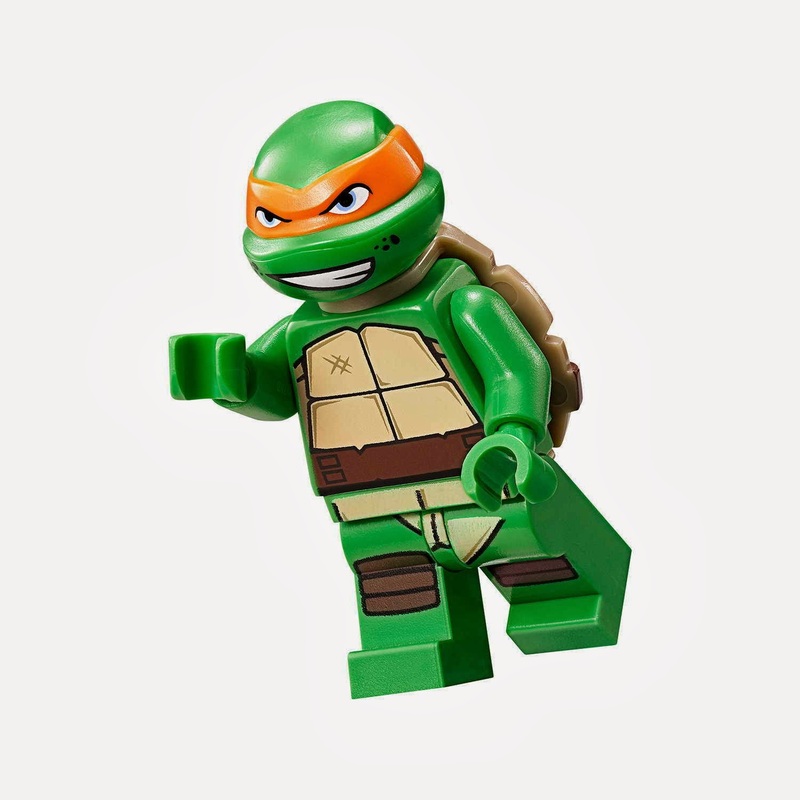 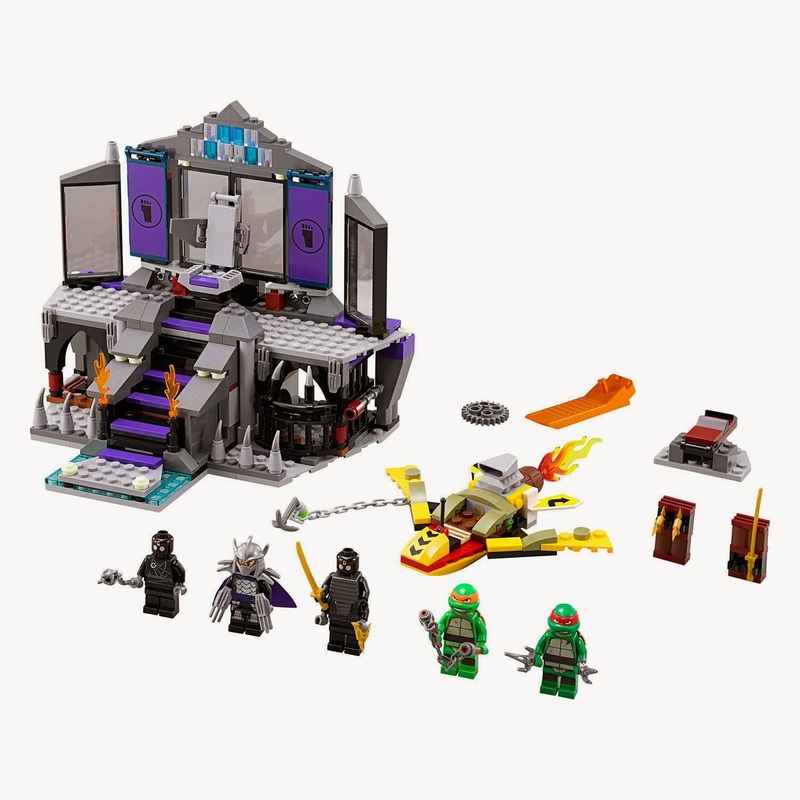 minifigs included a michelangelo minifig, a raphael minifig, a shredder minifig, a robo foot ninja minifig and a foot soldier minifig.